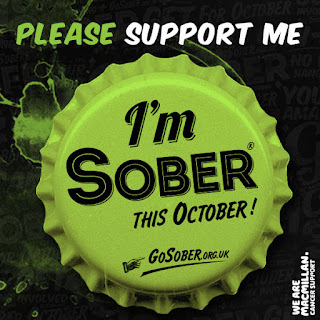 ArtyFartyAnnie: Going Sober for October!! Signing up for this challenge was quite a big deal, because I know it will be difficult for me, but if I say I'm going to do something I don't like to let the side down, so a public declaration of intent will help to make sure I stick to it! Like many people, I enjoy a glass or two and don't see that as a problem, but somehow my alcohol intake has crept up without me really noticing - a little (or large) G&T whilst I'm cooking dinner, a nice glass of wine with the meal, probably two .... and before you know it you're doing that every night of the week and it's just part of your lifestyle. I don't THINK I have a serious problem, but it has become an ingrained habit which is definitely not good for me. So, watch this space and wish me luck! 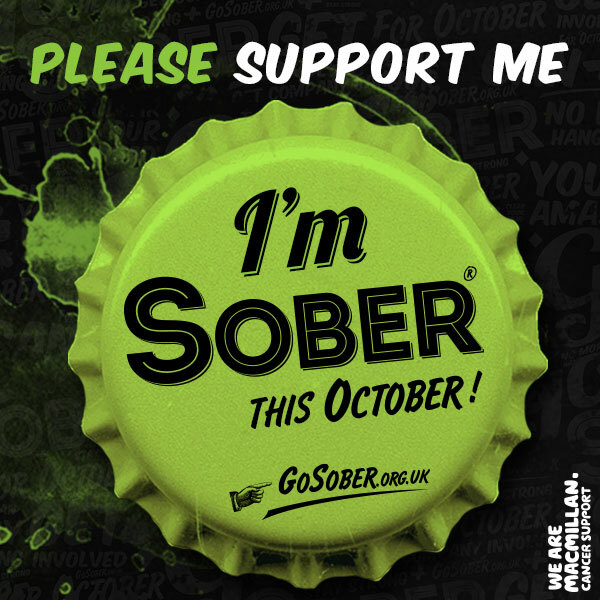 If you would like to know more, join in or make a donation, please check out my page at Go Sober for October - it would be great to form a team if anyone's up for it? !